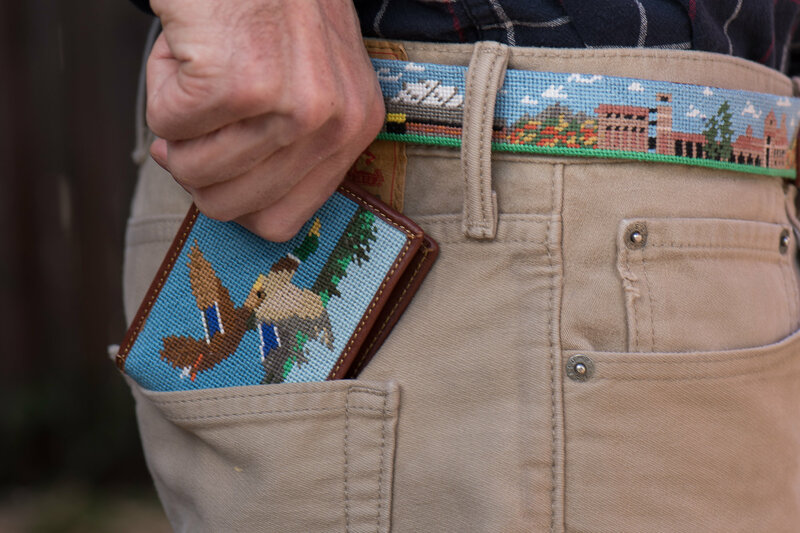 Are you looking to needlepoint a custom wallet? We’d love to help! We’ve been working on custom canvases for needlepoint wallets for the past 18 months. For a long time, we’ve been wanting to offer the ability for our customers to turn their work into beautiful wallets, and we finally worked it out. You can see in the images below we offer a leather trimmed wallet that is 4.25″ Long, 3.15″ High, 0.6″ Width when closed. It is a slim wallet and has four credit card holders in front, with a hidden card holder on each side. 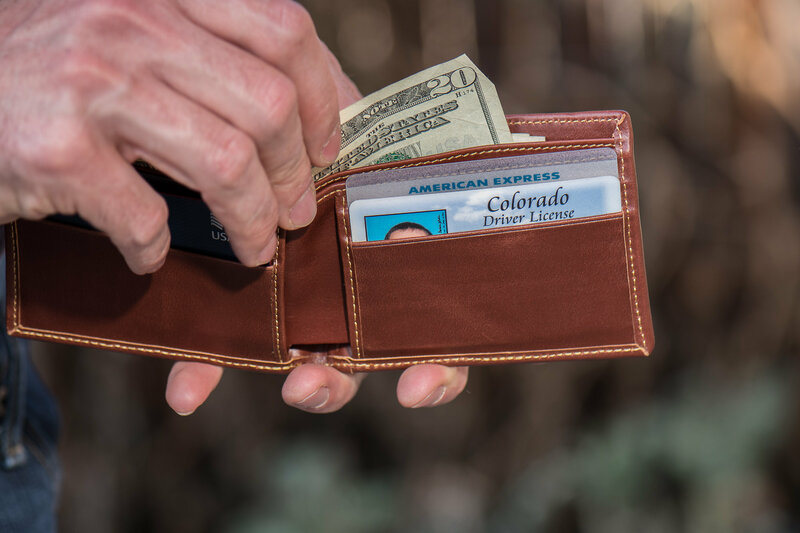 The main bill pocket features a divider for extra organization. We use 100% genuine leather, and offer a 100% satisfaction guarantee. You can read more details and see pricing for our Leather Finishing for Needlepoint Wallets here. Our canvases are made to order and the canvas listing at the top of the page includes our custom design work. Email us your ideas and we’d love to help make it happen.